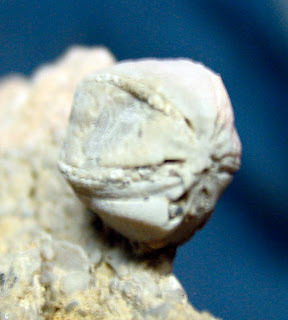 Middle Devonian Period blastoid fossil called Elaeacrinus verneuili. The pictures were taken in my cousin's workshop where he has been trying to extract this fossil from a large matrix piece. 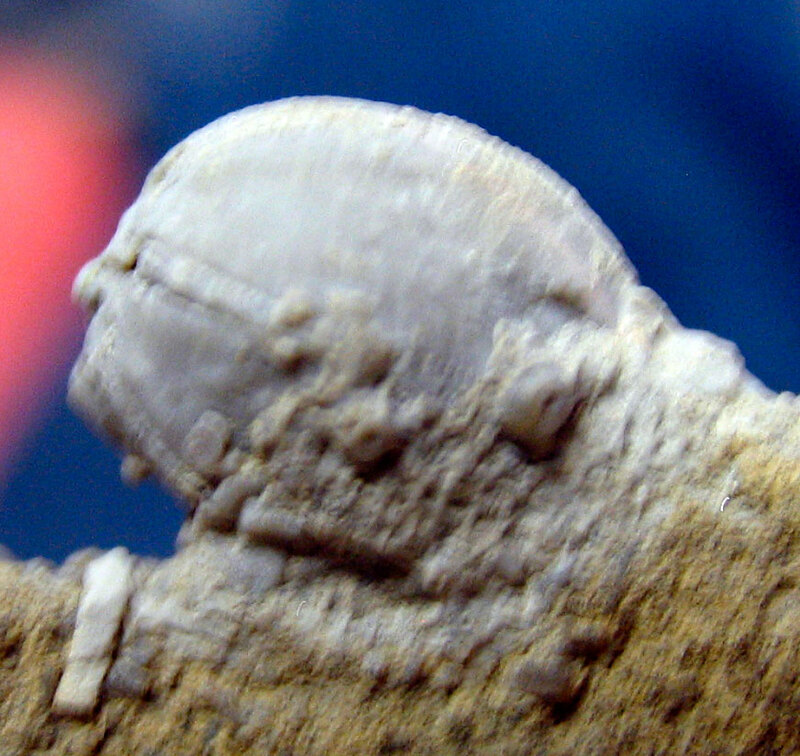 So my lighting was fluorescent overhead so the images are a little blurry. 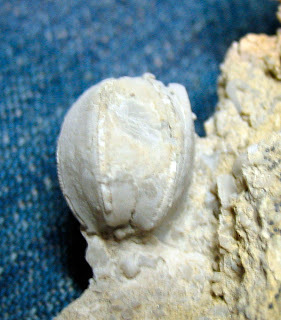 Fossil is about the size of a grape. The blastoid is in Jeffersonville Limestone.